A structure fire at 807 South First Street on Tuesday engulfed the building that houses four businesses. A structure fire at 807 South First Street engulfed the building that houses four businesses. 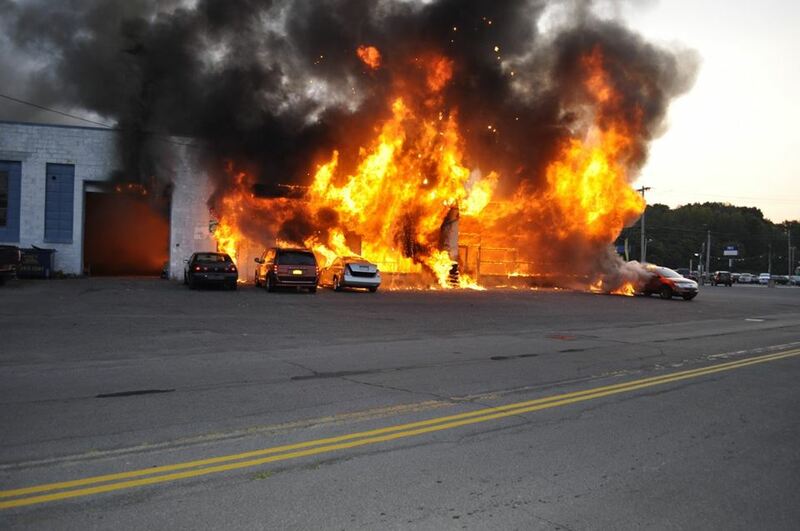 FULTON, NY – Crews are on scene battling a commercial fire at the Prime Auto Group used car dealership in Fulton at 807 South First Street. Located at the southern entrance to the city, State Route 481 has been shut down to all traffic in the area. Local police are on scene detouring vehicles off of State Route 481 at the southern entrance to the city and around the fire from the north end on Fay Street. Travelers are advised to avoid the area. 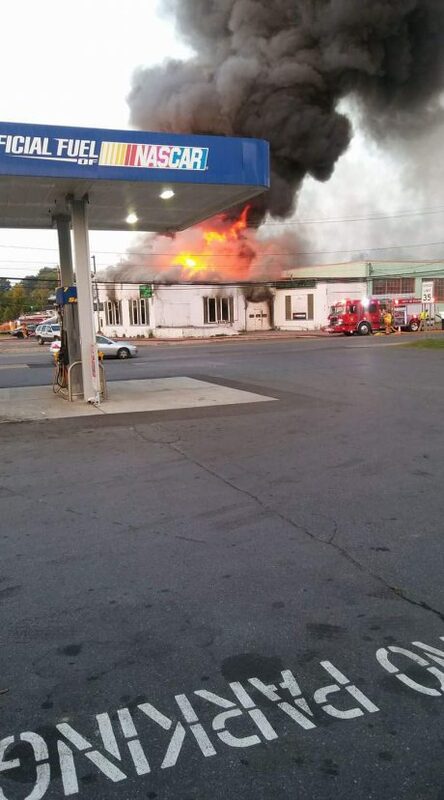 Fulton Fire Department responded to the call this morning and has been battling the blaze with help from several local departments including Minetto, Granby, Coty, Phoenix, Central Square and others. Check back with Oswego County Today for further details as they become available. I live right across street from fire and it was a huge bad fire. Great job by our firefighters and police ! Instead of so many people complaining about inconvenience ,having to detor around fire, they should be supporting our local emergency responders! Job well done! Maybe the complainers should walk in our fire and police shoes for the day!